Use our attractive thank you greeting image to thank your friend, family members and everyone who supported and stood behind you in all your success. 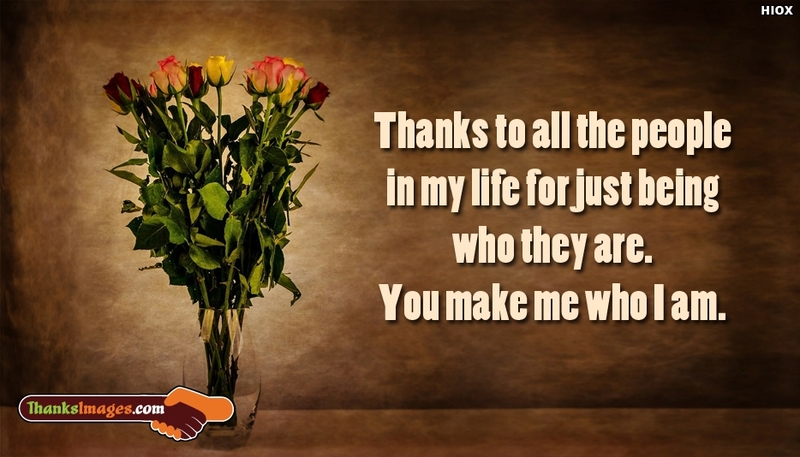 You can free download and share this image "Thanks To All The People In My Life For Just Being Who They Are. You Make Me Who I Am" for free through any social media platforms.